Infographic: Your Communications Systems is Determining Your Future | 8x8, Inc. Sounds familiar and frustrating, right? Customers directly call customer support looking for a fast resolution to their specific issues. What they get instead is the “I don’t know” run-around. Shockingly, however, 83% of customers still prefer live human interactions (Source: Accenture 2017 Study) over digital communication—they just need it to work a whole lot better. In the following blog post, I want to shed some light on the evolution of enterprise communications and how you can re-engineer your systems to give your customers the experience they deserve. For any business that is focused on relationship marketing, live interactions are core to customer satisfaction. Specifically, in the B2B world of complex transactions with multiple reviews and checkpoints, live interactions, be they through phone calls, video conferencing, chat, or texting, are fundamental to keeping work on track and making sure expectations are being set properly and being met in a timely fashion. This puts voice, in particular, on center stage, as that is the medium that best signals our willingness to listen, empathize, and engage. So, how good is your voice system? 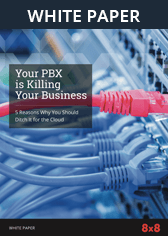 In the first wave of enterprise communication, dating back to the 90’s (and in some cases today), most companies’ communications infrastructure was hosted on-premise – PBX, contact center, and later on, video conferencing. To enable informed customer engagements, IT then had to integrate this infrastructure with various systems of record, greatly increasing the overall complexity. This set inherent investment limits on how far one could go to improve the customer experience overall. In the second wave, cloud-based communications replaced the PBX phones. Businesses moved their phone, meetings, collaboration and contact center to the cloud, but in many cases, they were disparate solutions operating in silos. To be fair, moving from on-premise to cloud telephony did give businesses a lower total cost of ownership (TCO) and an uptick in employee productivity. On the downside, however, the legacy of communication silos continued to fuel the “I don’t Know” issue in customer engagement. Siloed cloud solutions simply cannot empower employees with all the information they need at their fingertips to deliver exceptional customer service. So how do you fix this issue? Today’s customers expect employees to have access to any channel of their data, known context and history during calls and expect to have their issue resolved in a short amount of time. So, the first step to meet this expectation is to give your employees a full set of responder capabilities: cross-channel visibility, real-time access to systems of record, and real-time access to subject matter experts. And that brings us to the third wave of enterprise communications. In the third wave of enterprise communications, companies are moving from dispersed solutions for voice, messaging, collaboration and contact center to a single cloud-based system of engagement that combines all of them into one integrated platform. This is a paradigm shift in how CIOs can transform customer experience with the ability to intelligently and quickly collaborate in the cloud across any channel, and easily access their most critical data, analysis, and experts in real-time. With customers and employees interacting through one system of engagement, you can now optimize valuable moments of engagement with one set of data in one system of intelligence. Such a system of engagement provides the lowest TCO and transforms the employee and customer experience, marked by the end of “I Don’t Know” and the beginning of moving at the speed of employee and customer expectations. 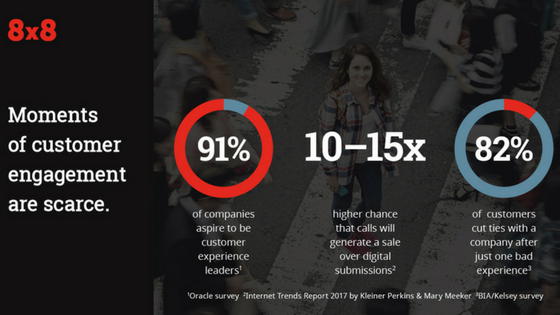 Are we missing customer calls—and losing business we don’t even know about? Are we staffing to meet demand? Are all of our salespeople following up on their leads? Should we reroute our calls? 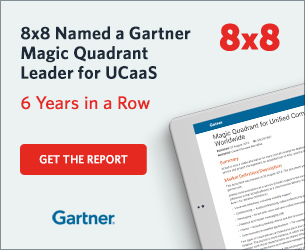 8x8 has led the industry with innovations for its cloud communications platform for the third wave, culminating with the recent launch of its X Series. What I especially like about the X Series is that it is built to help you take a phased approach to moving your phone, meetings, collaboration and contact center to a single system of engagement and intelligence, depending on your business needs. I call this the stairway to transforming your enterprise communications. At its core is the voice experience itself—everything ultimately comes back to being in service to that moment of engagement when you and your customer communicate in real time as real people. At this moment, your communications system is determining your future. It influences whether you will thrive or fail in delivering exceptional customer experience. Do you have something better to invest in? Learn more about X Series.